I was introduced to this gluten free pancake recipe by a friend of mine, and its become a firm favourite. 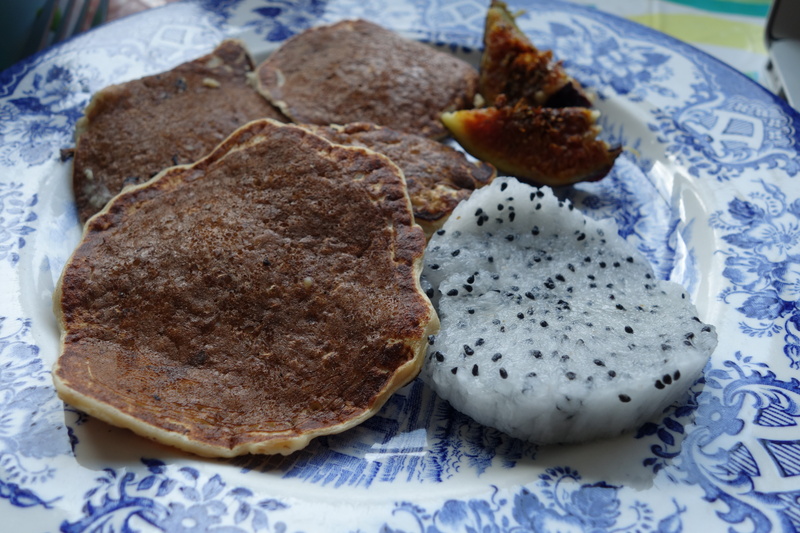 It’s a simple recipe perfect for Saturday or Sunday brunch – I had mine with some dragonfruit, figs and honey, but would also go well with maple syrup and bacon, too. The vanilla protein powder gives it a bit of flavour which is a nice accompaniment to the oats. If you prefer a smoother texture, whizz the oats in a food processor, or go for oat flour. Personally, I’m a fan of the texture so I left them as is. I went for the Sun Warrior blend vanilla protein powder from Planet Organic: it’s dairy, soya and gluten free. 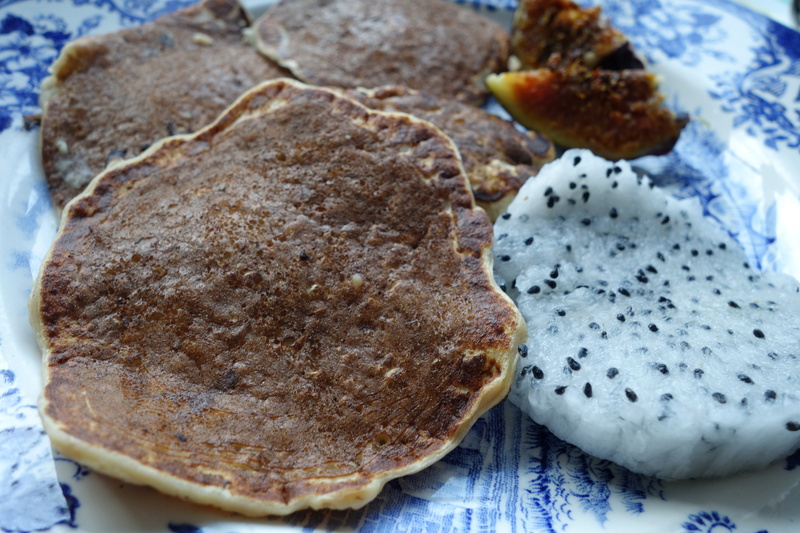 This gluten free protein pancake is a firm favourite - perfect for a morning energy boost. Heat the butter in a pan: pour in batter for each pancake. When the mixture bubbles, flip the pancake over – the first side is done. The batter should be enough for four people: I made it for two, and froze the pancakes individually. This makes it easier to pop frozen pancakes in the toaster: perfect for a quick weekday breakfast. I’m always on the lookout for interesting, gluten free breakfast options: any suggestions would be appreciated! Comment below, and be sure to follow me on Twitter, Facebook and Instagram!